Hansjörg Wyss is a Swiss citizen and multi-billionaire who made his money in the healthcare industry as CEO of medical device company Synthes. He controls three foundations: the Wyss Foundation (assets of $2 billion), the Hansjoerg Wyss Foundation (assets of $300 million), and the Wyss Medical Foundation (formerly the Wyss Peace Foundation) (assets of $85 million), all of which use Wyss’ foreign money to fund liberal-left causes and organizations in the U.S. Shortly before Wyss sold Synthes to pharmaceutical conglomerate Johnson & Johnson, the Department of Justice charged Synthes and four executives under Wyss with offenses related to an off-label marketing scheme that led to the deaths of at least three people. Despite vast wealth—estimated at $6.1 billion as of 2015—that places him as reportedly the fifth-richest Swiss citizen, the 80th-richest person residing in the United States and 240th-richest on Earth, Wyss has expressed a desire to remain relatively anonymous. He gives few interviews, despite his enormous American political empire and controversial business practices. Wyss was CEO of Synthes through 2004, when he stepped aside from day-to-day management and became the corporation’s chairman. During Wyss’s tenure as CEO, Synthes conducted a campaign of illegal off-label marketing for its bone repair cement Norian. Synthes marketed a version of Norian without FDA approval or proper tests to repair vertebral compression fractures. Using the compound proved likely to cause fatal blood clots if the cement got into a patient’s bloodstream near the heart and lungs. Three patients treated in this unapproved manner died. The families of two people who died during these unapproved treatments sued Wyss and Synthes in California court. While Wyss himself was not charged, the indictment against Synthes mentioned a “Person 7,” the corporation’s CEO, in directing the company not to follow the FDA clinical trial process. It has been reported that “Person 7” refers to Wyss, who was CEO at the time. A Fortune magazine profile reported that Synthes employees remembered Wyss as a very hands-on manager, who would have been unlikely to know nothing about the scheme. The reporter speculated that Wyss may have only avoided indictment due to insufficient evidence, although prosecutors would not comment. Several foreign billionaires spend vast sums influencing U.S. elections through politically involved 501(c) organizations. Through his three foundations, Wyss funds groups across the spectrum of the political left. Wyss made $38,000 in FEC-reportable campaign contributions to various Democrats between 1998-2002. Wyss was presumably eligible to make these contributions because he held permanent resident status. The largest Wyss nonprofit, the Wyss Foundation, is dedicated to funding radical environmentalist groups that lock off large sections of the American West from development or cattle grazing. In its most recent tax year, the foundation gave six-figure grants to the liberal “sportsmen” group Backcountry Hunters and Anglers, the Center for American Progress, environmentalist law center EarthJustice, the Sierra Club, the Nature Conservancy, and the Big Labor-tied Theodore Roosevelt Conservation Partnership. In December 2013, the Bill, Hillary, and Chelsea Clinton Foundation—which has been widely criticized for taking foreign money while Hillary Clinton served as Secretary of State—announced it had received $5 million from Wyss. 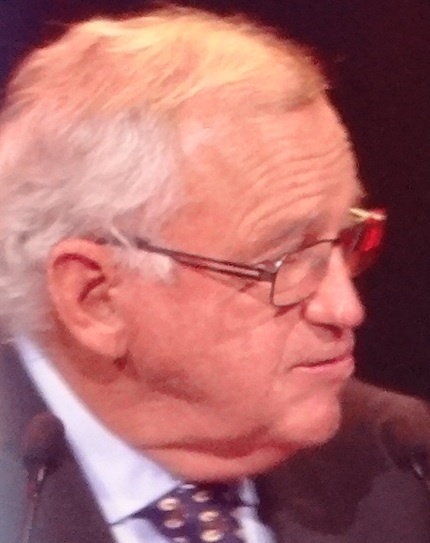 The separate, smaller Hansjorg Wyss Foundation (or HJW Foundation) funds a broader spectrum of left-leaning organizations. In its most recent tax year, HJW Foundation tax records show that it gave six-figure grants to the 501(c)3 arms of the American Civil Liberties Union, the organized labor-backed Food Research and Action Center, left-wing economic policy organization Demos (which has ties to disgraced former Oregon First Lady Cynthia Hayes), and the New Organizing Institute Education Fund, among others. The Foundation additionally made a $3 million grant to the Planned Parenthood Federation of America. The Wyss Medical Foundation (formerly called the Wyss Peace Foundation) has given funds to numerous civil libertarian and international anti-U.S. military activist groups, including Human Rights Watch. All three Wyss foundations report interests in Swiss financial accounts. Among the major projects of the Wyss Foundation is purchasing large tracts of rural wilderness and closing it off to resource development, including by handing the tracts over to the government. In 2003, Wyss funded a campaign led by The Wilderness Society to withdraw 26 million acres from productive uses in resource extraction, grazing, and outdoor recreation. The result? Wyss’s foreign money—tens of millions of dollars of it—takes American natural resources out of productive uses. His lands activism also has led him to make strategic connections at the very top of the Democratic Party: According to disclosures filed by top Obama and Hillary Clinton adviser John Podesta (who also chaired CAP’s Board), the Wyss Foundation paid him $87,000 in 2013 for consulting services. Wyss’s political giving and lands activism (which the billionaire calls “Strategic Philanthropy”) has been compared to a “textbook military operation” by one commentator. Foreign nationality has not prevented Wyss from funding a vast political infrastructure.